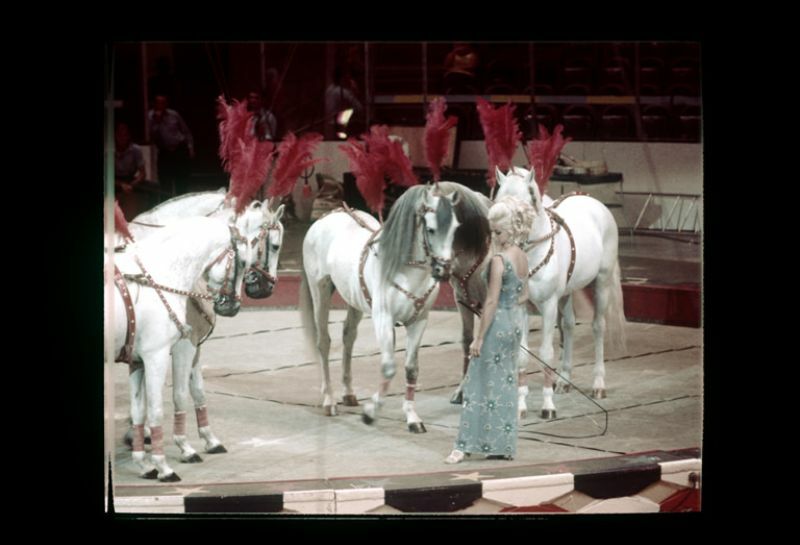 Ringling Bros. and Barnum & Bailey Circus was an American traveling circus company billed as The Greatest Show on Earth. 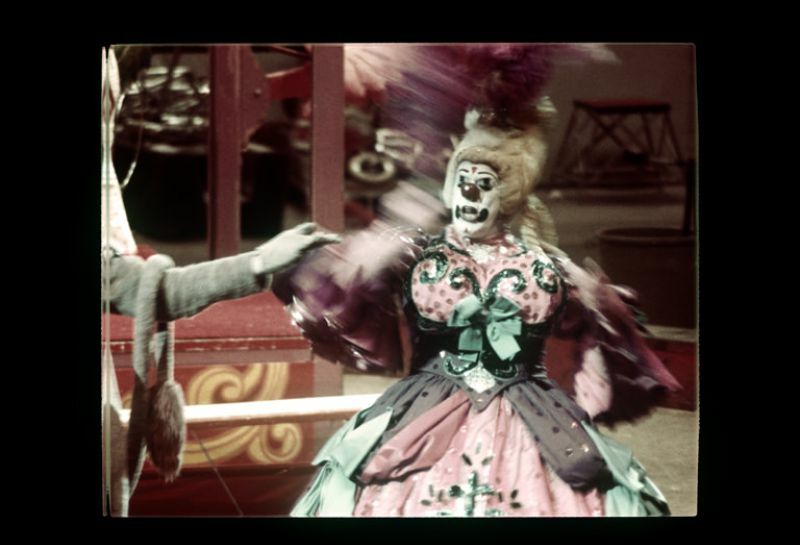 It and its predecessor shows ran from 1871 to 2017. 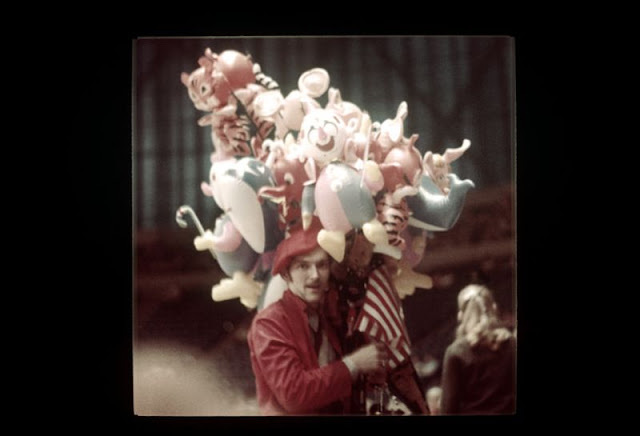 Known as Ringling Bros. and Barnum & Bailey Combined Shows, the circus started in 1919 when the Barnum & Bailey's Greatest Show on Earth, a circus created by P. T. Barnum and James Anthony Bailey, was merged with the Ringling Bros. World's Greatest Shows. 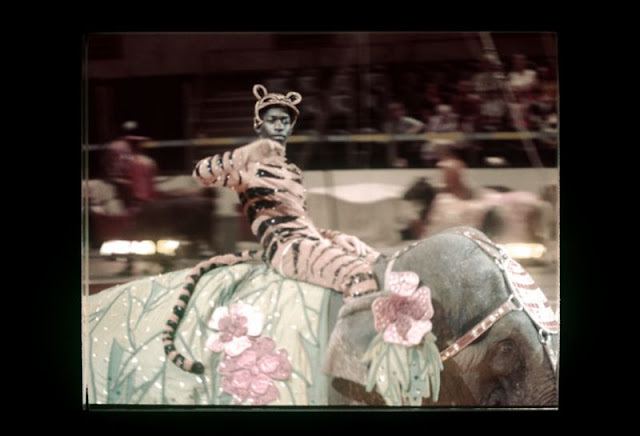 The Ringling brothers had purchased Barnum & Bailey Ltd. following Bailey's death in 1906, but ran the circuses separately until they were merged in 1919. 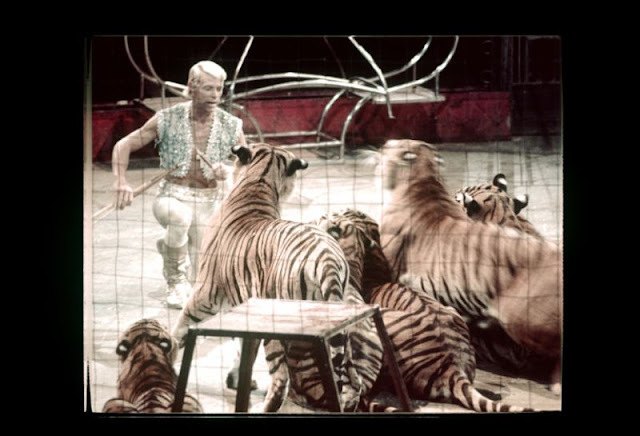 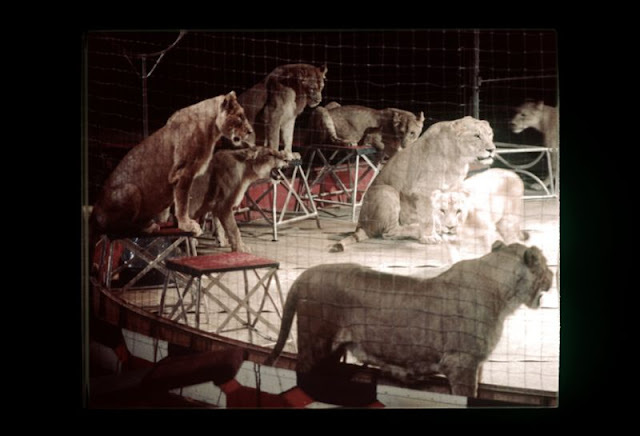 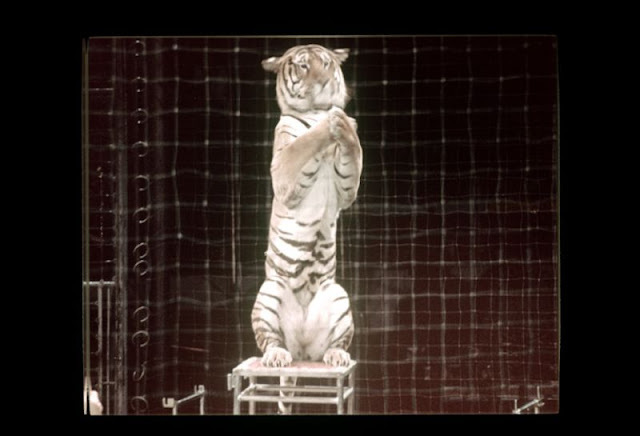 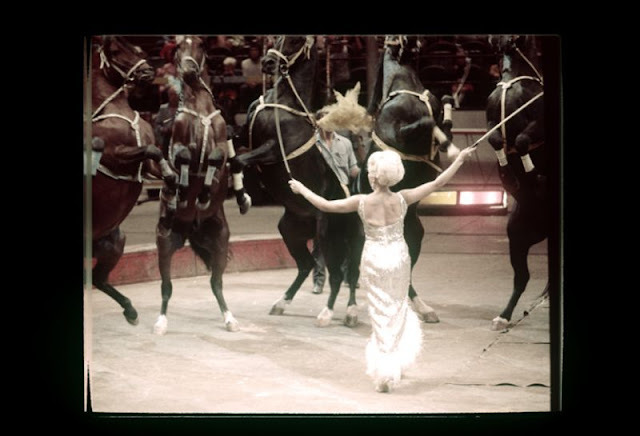 With weakening attendance and high operating costs, the circus closed on May 21, 2017 after 146 years. 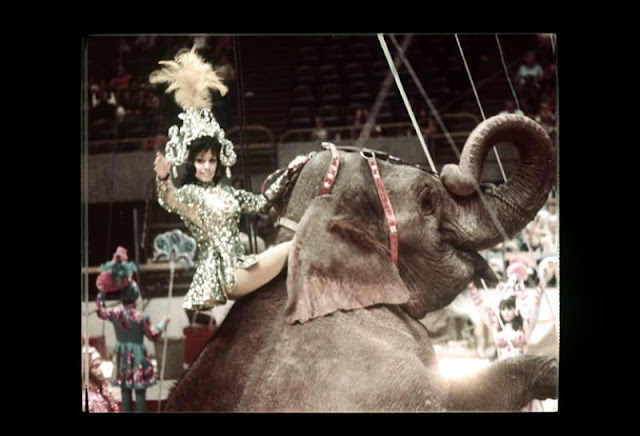 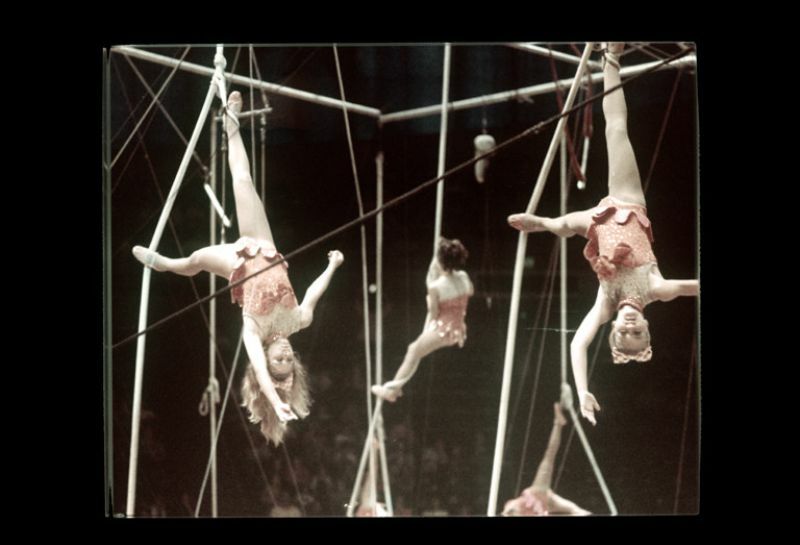 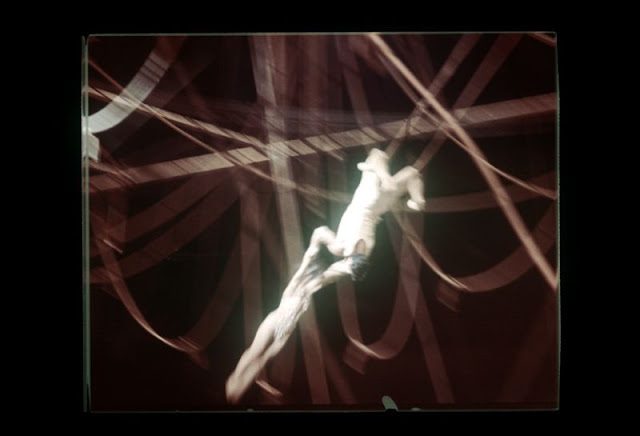 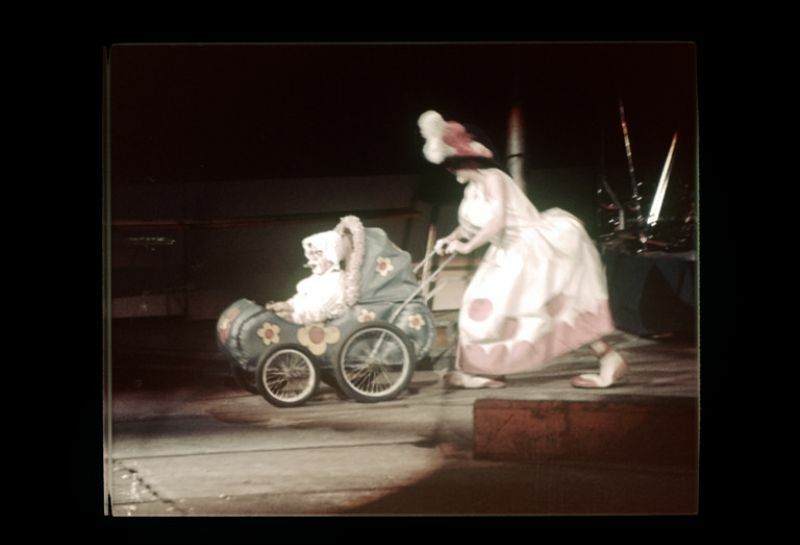 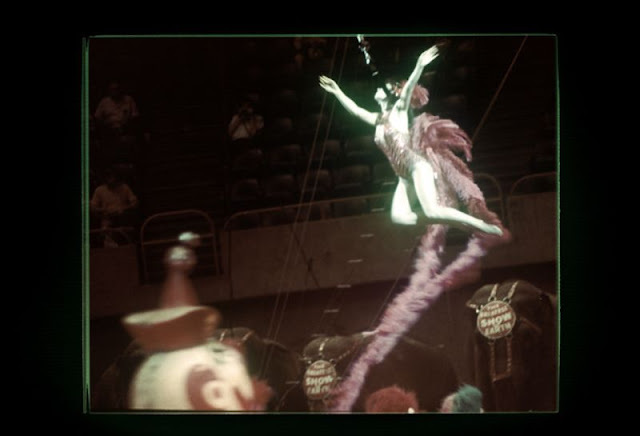 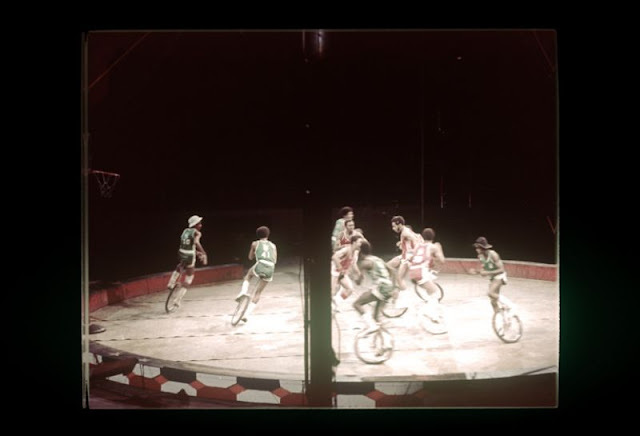 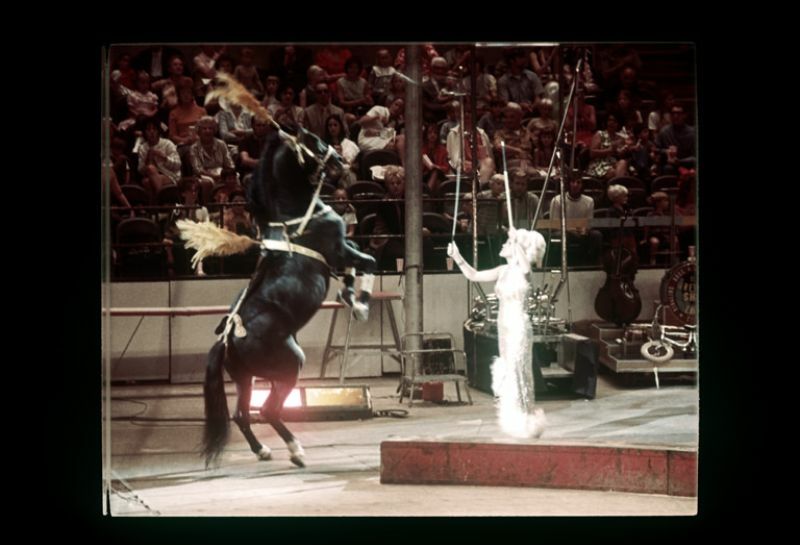 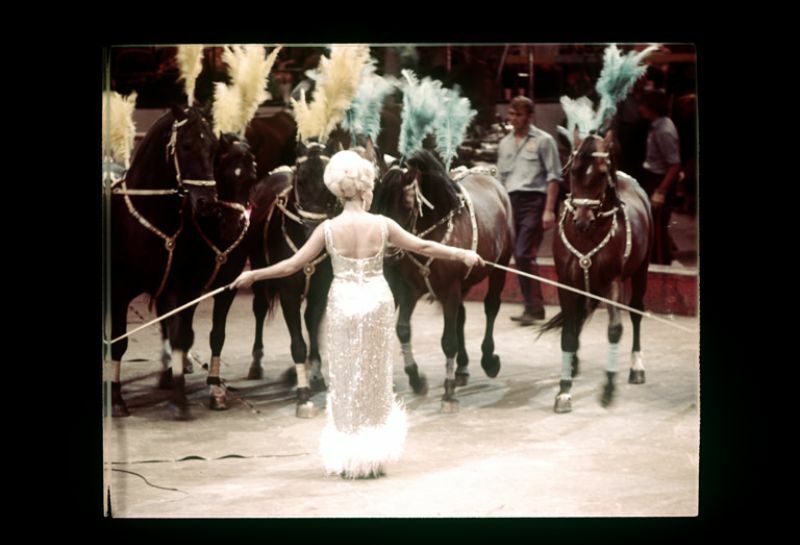 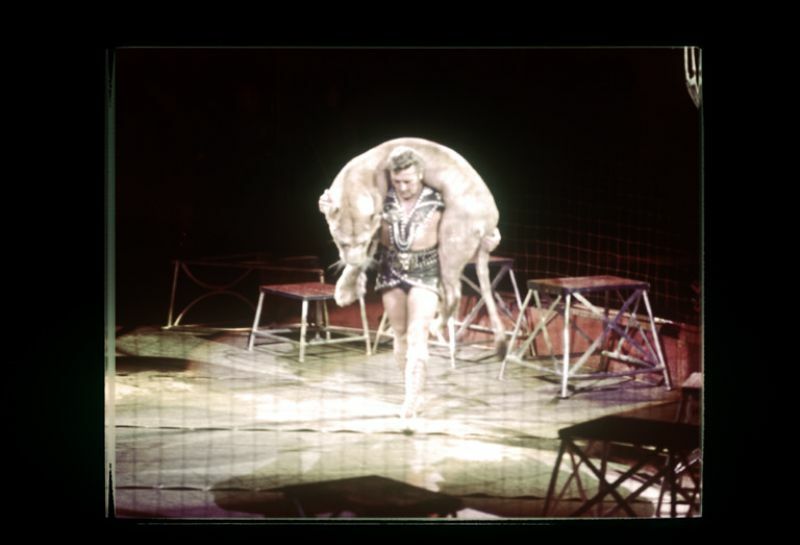 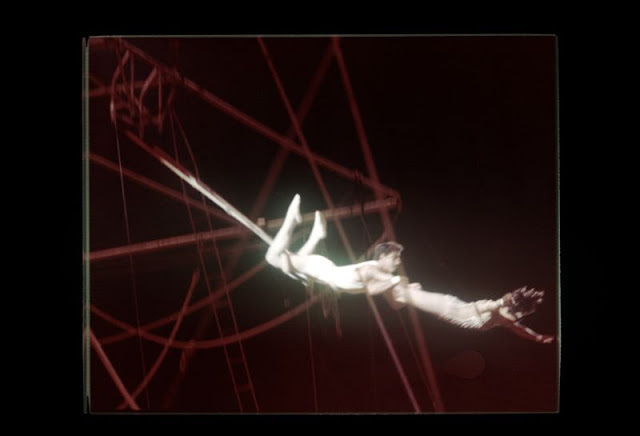 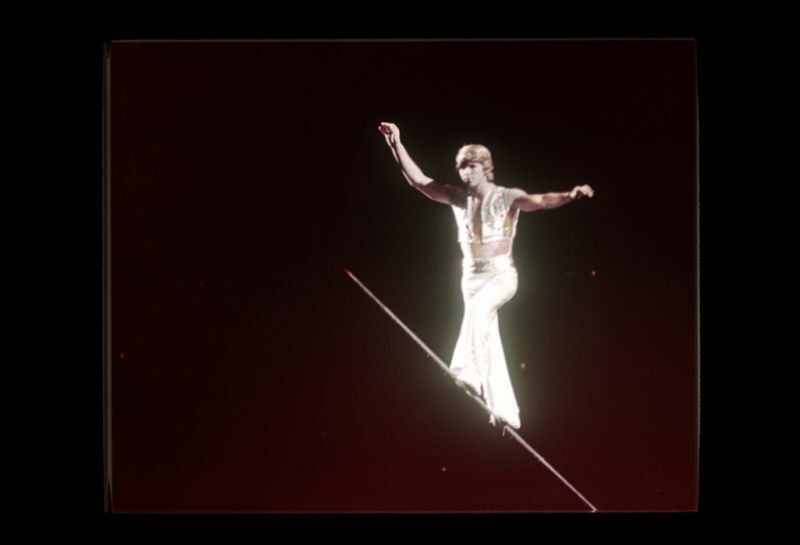 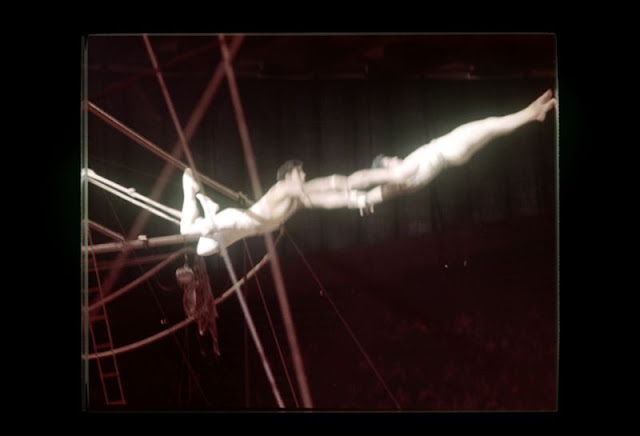 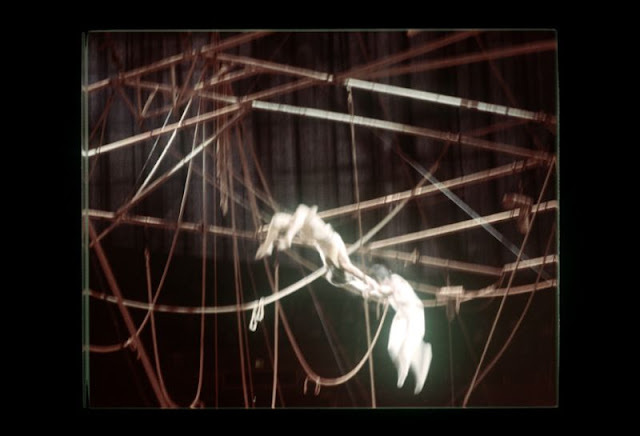 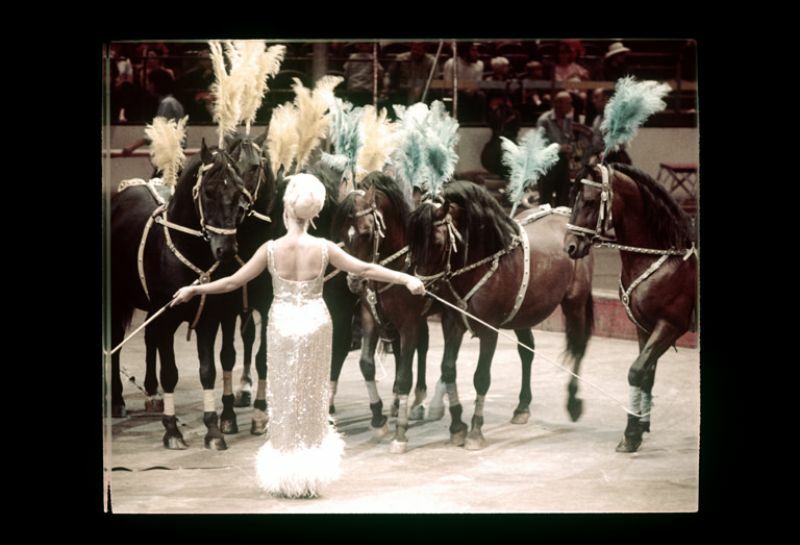 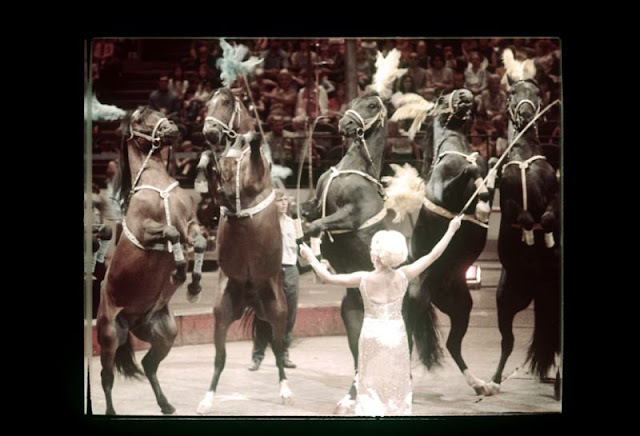 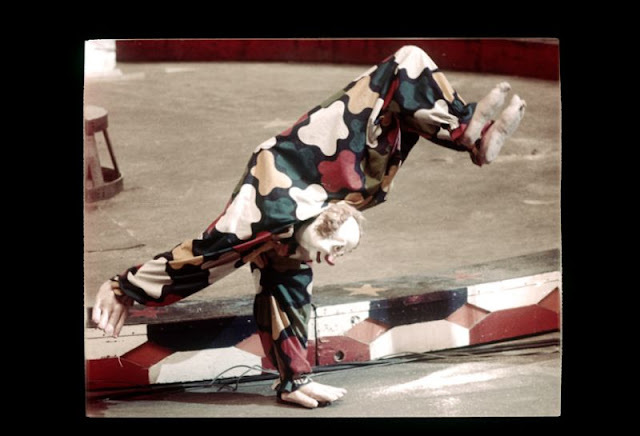 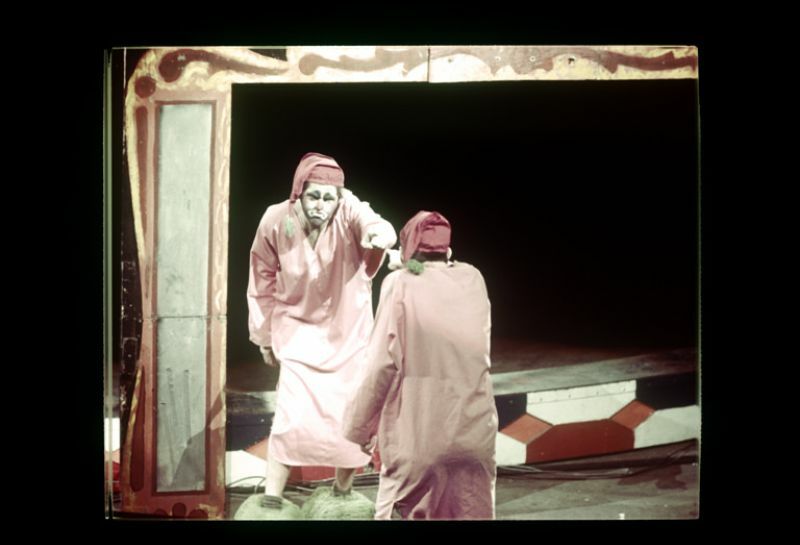 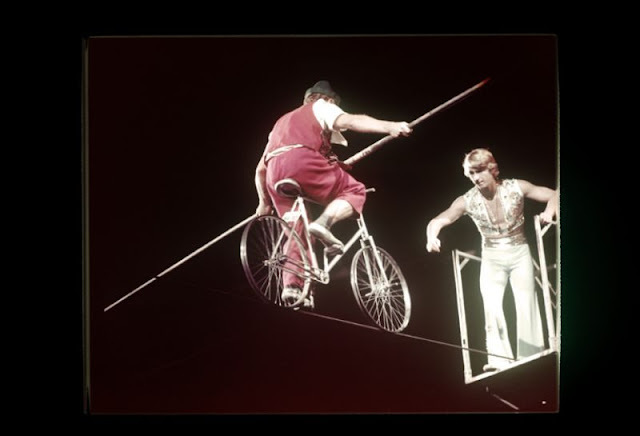 These color slides from nick dewolf photo archive that captured performing of the Ringling Bros. and Barnum & Bailey Circus in in Oakland, California, 1971.